I am a big fan of Maison du Chocolat. I absolutely love their ranges from chocolates ro truffles to patisserie, everything is executed gorgeously. 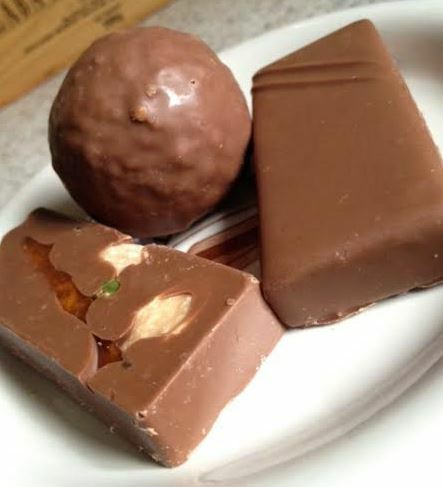 I am just a huge fan and I do buy chocolates for myself often from Selfridges or Harrods as well as enjoying patisserie from their Piccadilly shop. They sent me some treats with the following information in the press release: As the leaves begin to fall from the trees and the weather starts to change, it is time to revel in the joys of autumn. After a hectic summer, why not indulge yourself or a loved one this autumn with La Maison du Chocolat’s Bouchée range. Available in six sumptuous flavours, the individual chocolate pieces are deliciously tasty. Containing roasted almonds, candied fruits and chocolate ganache, the bouchées are a sophisticated treat for one. Now of course I had to try them for myself and in a wild stroke of luck I was sent some of them. I wasn’t sent all so what I’ll do is list the ones I tried first with my tasting notes and then the ones I didn’t try will be at the end. I am an EXTREMELY lucky person to get these joyful treats! 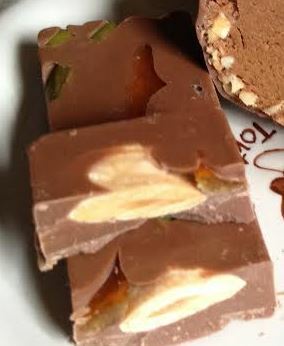 Bouchee Rocher Milk Chocolate – Almond and nut milk chocolate praline with roasted almonds. This was like a GIANT ball of nutty joy. That smooth ganache filling wasn’t too sweet and so I sliced it into segments and enjoyed over the course of the day. It was absolutely perfect as something to come back to time and time again in small bites because each one satisfied. If you’re looking for a nutty fix, this is it in spades! 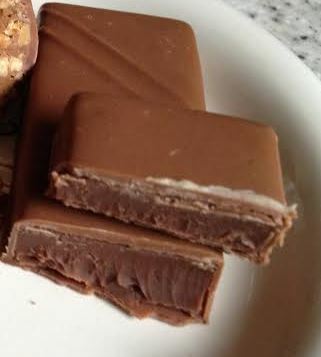 Bouchee Sylvia – Plain milk ganache. I might have eaten this whole thing in one sitting because it was silky lovely ganache goodness. It was like a giant delicious chocolate. It is the ultimate in decadence – a giant ganache chocolate. Go, get one – you’ll thank me later (or not when you buy 6 just to always have one no matter what room you are in). 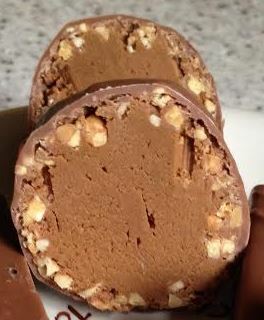 The Bouchee Rocher Dark Chocolate sounds amazing, love taste of roasted almonds! I’ve shopped from them for years – before they had shops in the high street. Brilliant service (especially as ordering from overseas) and everyone I have sent their chocs to over the years has loved them. I’ve never tried this range before, but they look wonderful. I especially like the look of the Bouchee Mendiant Dark Chocolate. That’s the one I’d reach for first. Nice recommendation Judith. I always prefer milk chocolate things so I especially like the look of the rocher bouchee milk chocolate. But I’d eat all of them really!